The ITW GSE 2400 Compact GPU series is the market’s best choice when it comes to point-of-use 400 Hz solid-state Ground Power Units. It is small and simple, reliable and robust. This 400 Hz GPU has all kinds of outstanding technical qualities from the unique output voltage at the aircraft plug, the common ITW GSE user interface, soft-ware update via USB and the standard overload capabilities that matches all types of aircraft. At ITW GSE, we monitor the market and are at the forefront of new aircraft requirements and market developments. This has been an objective since we introduced our first 400 Hz solid-state GPU to the market. And it still is ! 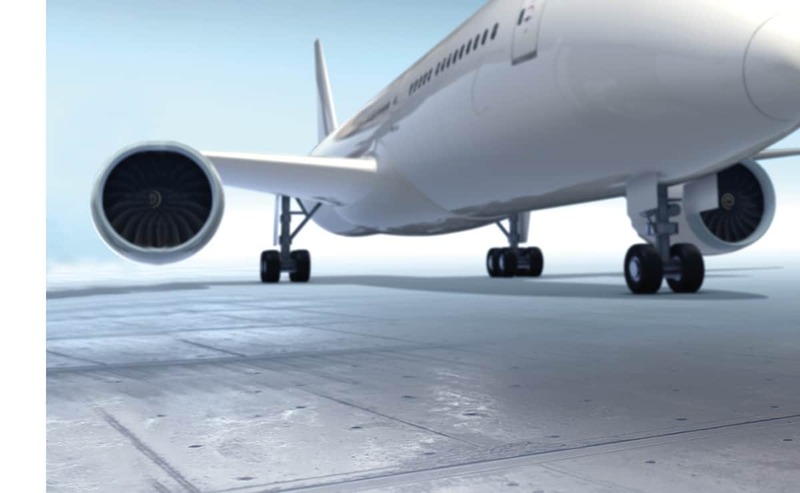 Therefore, the ITW GSE 2400 Compact 400 hz GPU is designed to fulfil the ISO 6858 standard regarding voltage imbalance and phase displacement at the aircraft plug. 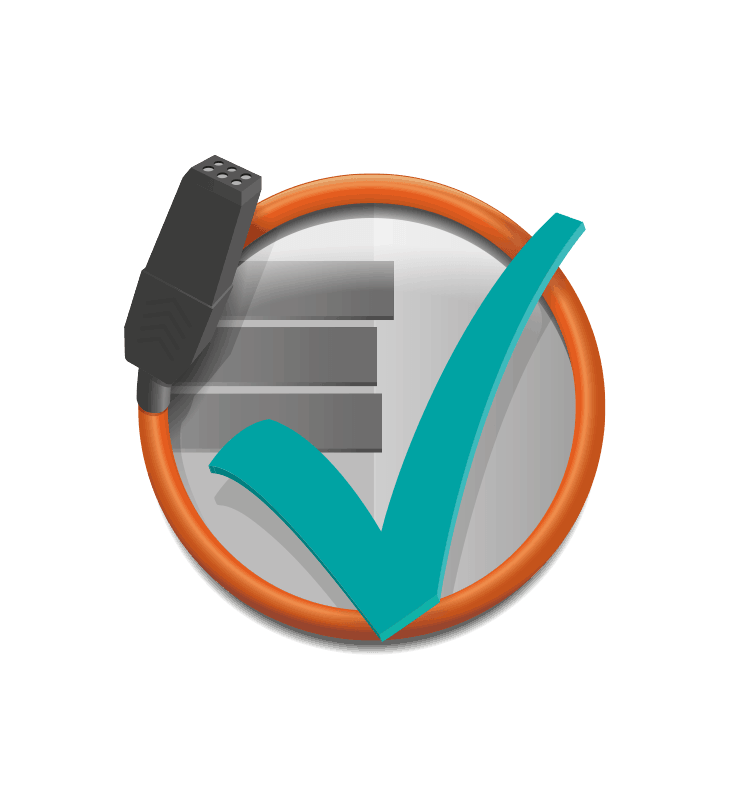 We are even third party approved. The 2400 series is the market’s best choice when it comes to solid-state, point-of-use converters. It is small and simple, reliable and robust. It has all kinds of outstanding technical qualities from the unique output voltage, the smart ITW GSE user interface, soft-ware update via USB and the standard overload capabilities that matches all types of aircraft from PF 0.8 to PF 1. 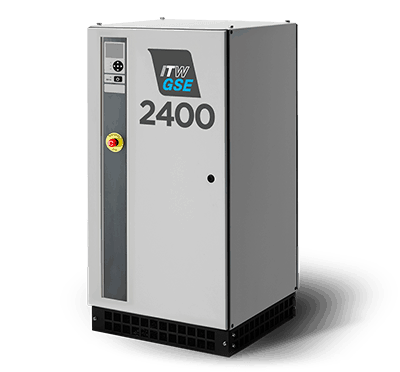 ITW GSE 2400 GPUs are simply smart ground power units covering your requirements for reliable 400 Hz supplies. Fixed 400 Hz installations often include a mix of long symmetrical and asymmetrical output cables as well as connection boxes that makes it difficult to keep the required voltage quality at the aircraft connector. This is exactly where ITW GSE’s patented Plug & Play voltage compensation system makes a difference. The Plug & Play system is based on a true individual phase regulation combined with a predetermined model of the actual cable installation. Therefore, the 2400, 400 Hz GPU provides an outstanding voltage quality at the connector thus ensuring on-time departures and happy passengers! 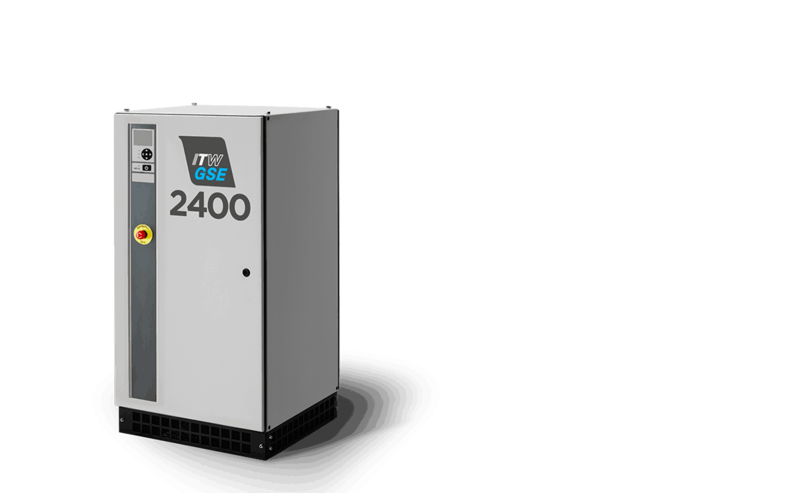 The Plug & Play means that the ITW GSE 2400 Compact Ground Power Unit fulfills the stringent requirements of most installations as it compensates for long symmetrical output cables, unbalanced loads as well as various power factors. The magnetic wave-shaping topology ensures a clean input power with a unity power factor and a current THD less than 5%. Watch the video or contact us if you want more information.